You can set the idle mixture with a vacuum gage or a tach. I've gotten to where I prefer a tach in recent years but I still use a vacuum gage sometimes. You should tune each side to achieve the highest vacuum or idle rpm separately - going back and forth a couple of times. On most motors the adjustments will end up pretty close to each other - but yeah, there may be a little difference in where the screws end up from side to side. If you're between 3/4's of a turn out and 1-1/2 turn out the car should run decently. 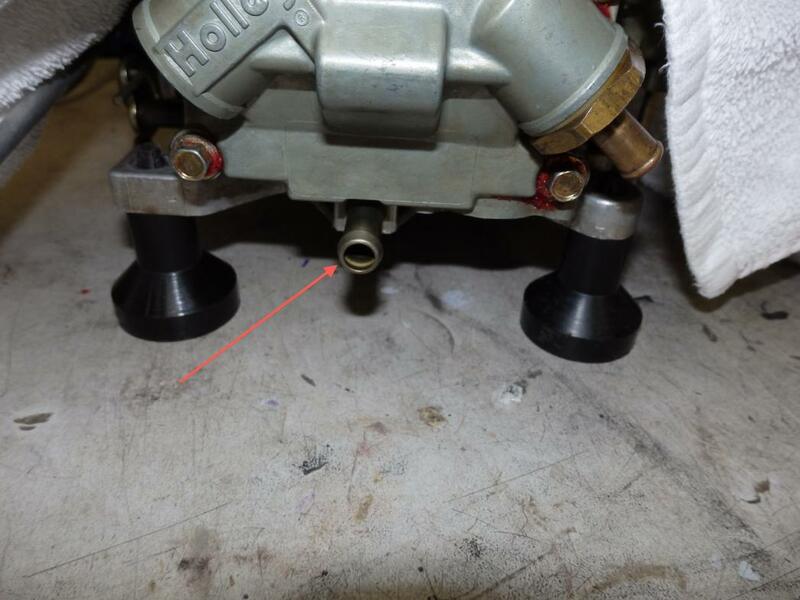 You can also try the old trick of adjusting the turns so that when you pull the rubber plug off the intake manifold port the RPM's stay the same. The most important part is not to have your idle turned up so far that you're too deep in to the transition slot. Or, you can do what I do to get it just perfect......... Make sure your primary butterflies are at the bottom of the transition slot, back your idle screws out about 3/4's of a turn from seated, then adjust the idle speed by cracking the secondaries with the hidden set screw. Then take your car out for a steady slow drive with the throttle lightly applied and steady and feel for your lean surge, which you should have. Back the screws out 1/8th of a turn and repeat until the surge is gone. The object is to have the leanest possible idle mixture setting that allows the car to run nicely. steve meltzer and Trubble like this. 10-32 cap screw. For use with an Allen wrench. Last edited by patrickt; 02-28-2018 at 07:08 PM..
steve meltzer and Gaz64 like this. I can not emphasize enough the role of the transition slot, and the positioning of the throttle blades along that slot, in getting your engine to run right. You have a big FE, a healthy cam that lowers your vacuum, along with hot under hood temps. 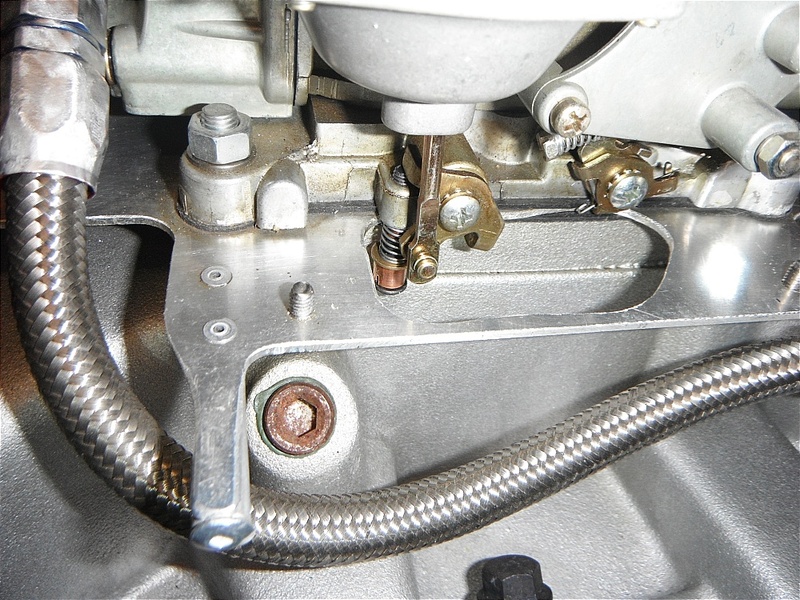 If you have your throttle blade up deep in to the transition slot, then you're negating the effect of the idle mixture screw and actually defeating the whole purpose of the transition slot to begin with. The transition slot is really a beautiful little engineering design. When your throttle blade is down at or below the bottom of the slot then the slot is actually feeding fresh air in to the emulsified fuel. But as you open the throttle, and the blade moves up the slot, the portion of the slot that is below the blade grows larger and brings in more pure emulsified fuel instead of air -- it "transitions." It's a beautiful, simple design. Alright, get cracking... and remember the Club Cobra Credo: "See One, Do One, Brag About One." and our credo: we teach the unteachable, train the untrainable and accept the unacceptable. OK, I think you are saying that your throttle plates are either not closing evenly, or they are out of whack somehow, or that they are not both even with their respective transition slots. If that is true, they don't really "adjust" all that much, but maybe you have some carbon build-up or something. Now I have heard of carbs that don't have the transfer slots even and that's because of a milling QC issue from Holley. 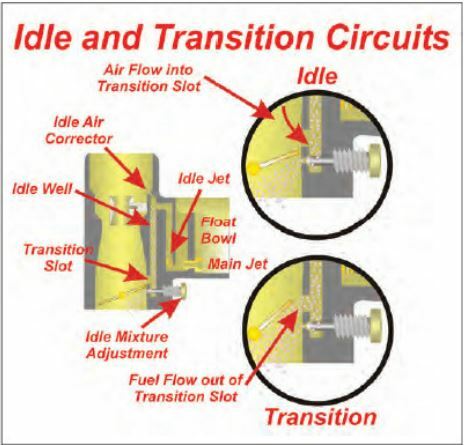 What I would do is follow the "generic" throttle plate instructions that are here: http://www.jegs.com/InstallationInst...-26-93-100.pdf and just clean them up good, maybe do a little filing if they are rough on the edges, and then perform the "light bulb" test. Just get them as smooth as possible and, if the transition slots are not that even, then so be it. Just set the biggest one's opening to a square and leave the other one wherever it lands. Smoothness in the opening and closing is the key though. Last edited by patrickt; 03-03-2018 at 01:34 PM..